Zoe Britnell, MRG’s Publications Intern, reports back from a photography competition and exhibition showing refugee, migrant and asylum seeker experiences, part of the School of Advanced Study’s Being Human Festival. Images depicting recent journeys of Rohingya refugees fleeing with only what they can carry, to those living in refugee camps in Greece, Lebanon and Nigeria, were just some of the photos at the Lost rights, found justice? exhibition which gave its audience the opportunity to engage with the plight of refugees. 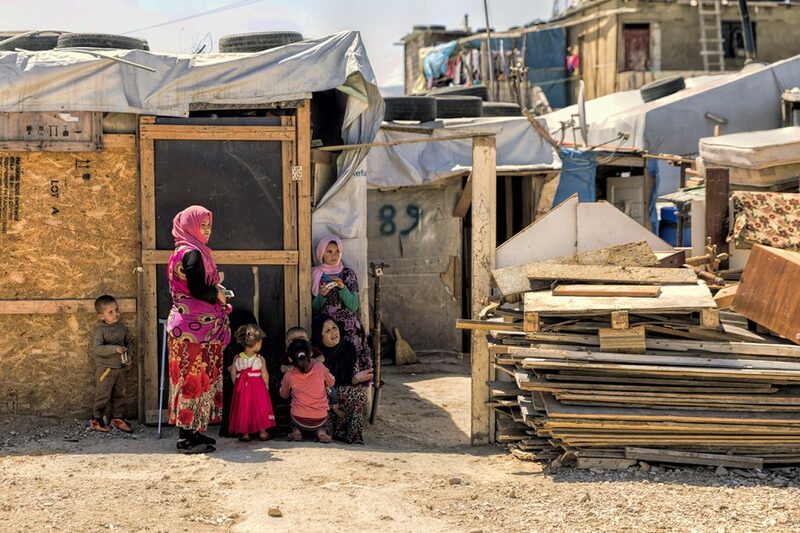 Photograph by Fadi Haroun –Life Became Different, Syrian refugees͛ camp ͞el garahia͟ in Beqaa Valley, Lebanon, May 2017. Genna Naccache, who recently completed her MA in Securing and Understanding Human Rights at the School of Advanced Studies and who has previously interned with MRG, was inspired to curate this exhibition to highlight the experiences of refugees, migrants and those seeking asylum through the visual medium of photography, and help raise public awareness of their stories. The exhibition featured selected photographs depicting the everyday experiences of refugees and migrants. 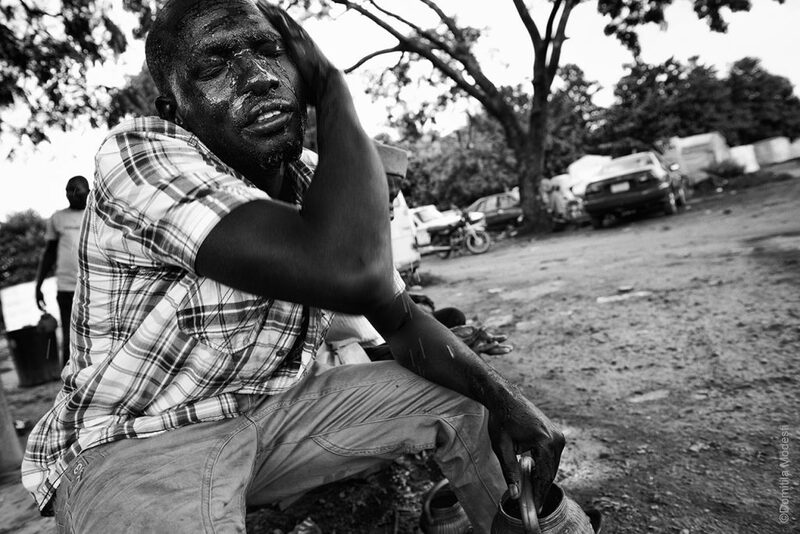 Each image tells an individual story of the refugee and migrant experience. As I walked along the exhibition I saw that it gave people time to learn and be impacted by these stories and situations through the visual lens of photography. Although some of these crises may be highlighted in the news, the exhibition gave the opportunity to see different aspects of the story, along with the everyday experiences of refugees, whilst increasing understanding of refugee and asylum law. The images allowed people to engage with the diverse stories of refugee journeys, including migration routes across Europe, as well as documenting the lives of people living in internal displacement camps. 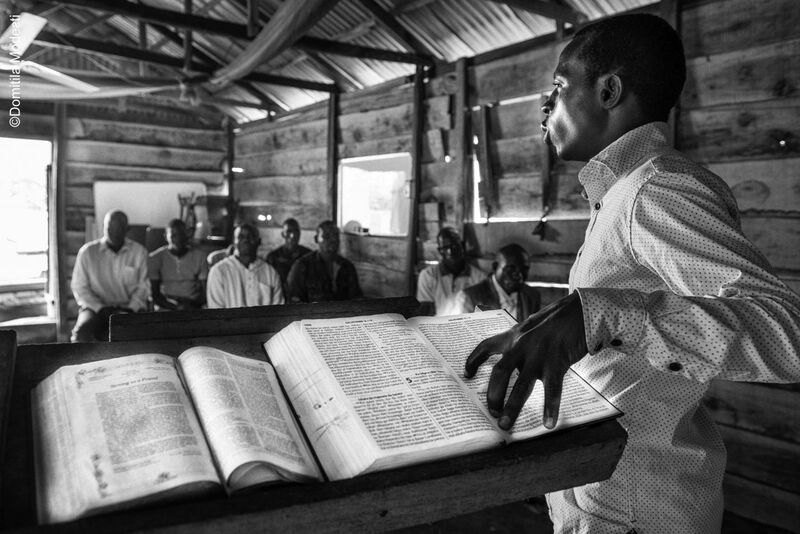 The photos by Domitila Modesti were the winning series of images in the exhibition and show how being able to freely practice their religion is a core aspect of survival for internally displaced persons (IDPs) in Nigeria who have fled persecution from the extremist group Boko Haram. Photograph by Domitila Modesti –Enoch Youth Leader and Pastor. Praying to forgive those that forced them to flee, New Kuchingoro IDP settlement. Abuja, Nigeria, 2016. 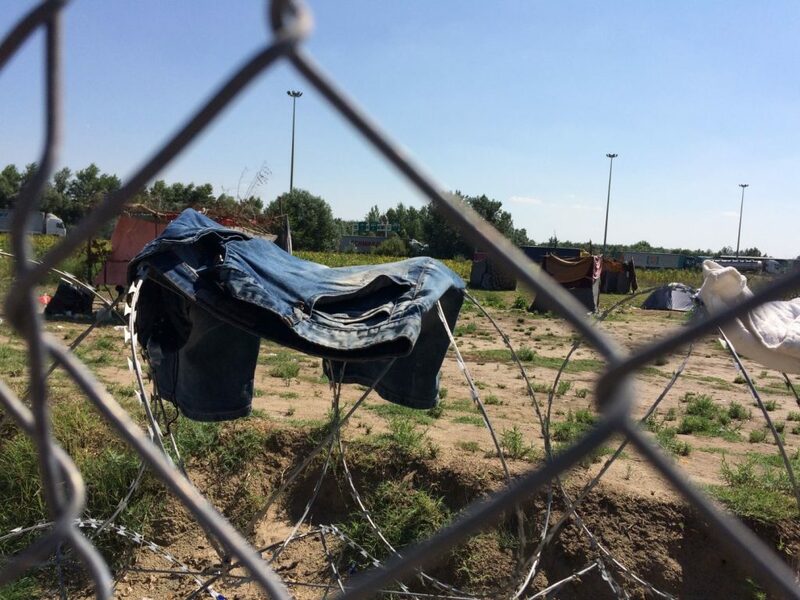 Images of closed borders in Europe, as well as refugee camps in Greece were also shown at the exhibition. 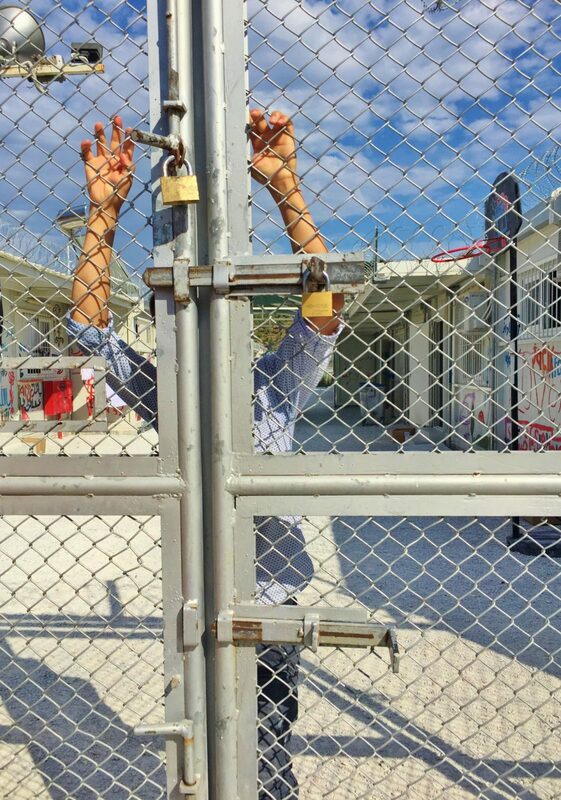 After thousands of Syrian refugees sought safety in Europe, the problematic EU-Turkey deal was agreed in 2016 whereby any person arriving irregularly in Greece should be returned to Turkey. 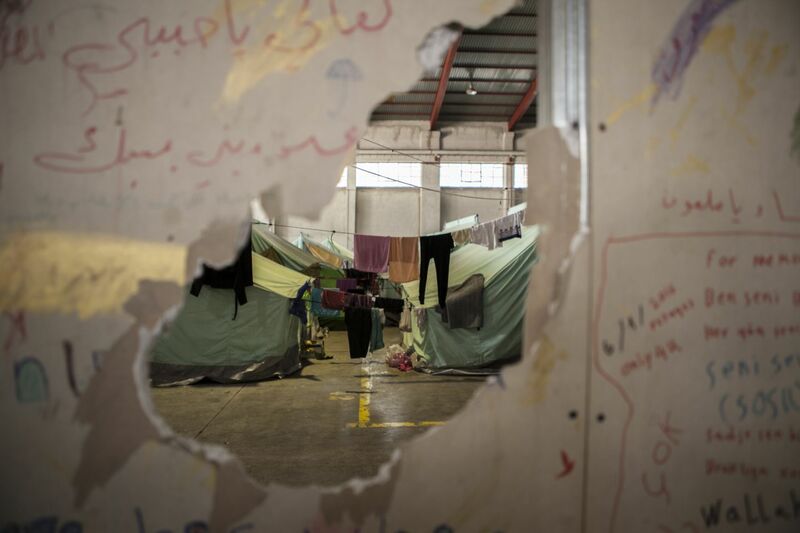 However, this has resulted in many refugees being stranded in appalling conditions in Greece, as well as Syrian refugees being returned to Turkey without guarantees of safety. Photography by Alexandra Zakharova –Refugee Relocation Camp 2, UNHCR camp near Thessaloniki, Greece, July 2016. The exhibition highlighted the situation of minorities fleeing persecution because of their ethnicity or religion. Although forced displacement affects all communities, this can especially impact minorities as they may face further discrimination in their country of asylum, even from fellow refugees. 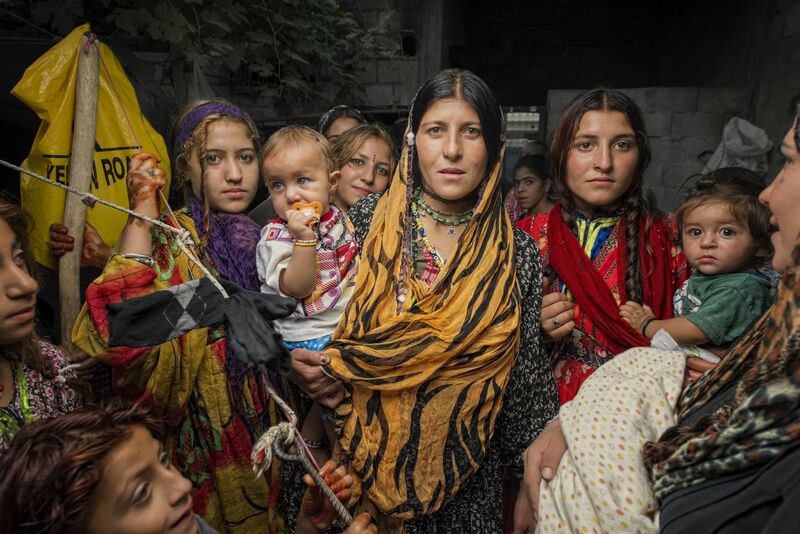 This is the case for Syrian Abdal, a semi-nomadic ethnic minority who face discrimination due to their cultural identity and as refugees in Turkey, added stigmatization because of their minority status. Photograph by Doruk Seymen, Portrait of Syrian Abdal Women, Gaziantep/Sahinbey Town, Turkey, September 2016. The exhibition enabled people to reflect on political aspects of the current crisis, as well as on the discrimination, violence and poverty affecting refugees today. Events such as this are important in helping to continue to raise public awareness of the stories of refugees and migrants and to highlight the obligations of governments to protect their rights. Under international law, refugees have the right to not be forcibly returned to a country where they may be harmed, the freedom to practice religion and be protected against discrimination. However, in too many situations these protections are absent. The images also included those who are stateless, such as the Rohingya in Burma/Myanmar, who are especially vulnerable as they are denied citizenship and face extreme discrimination, persecution and violence. 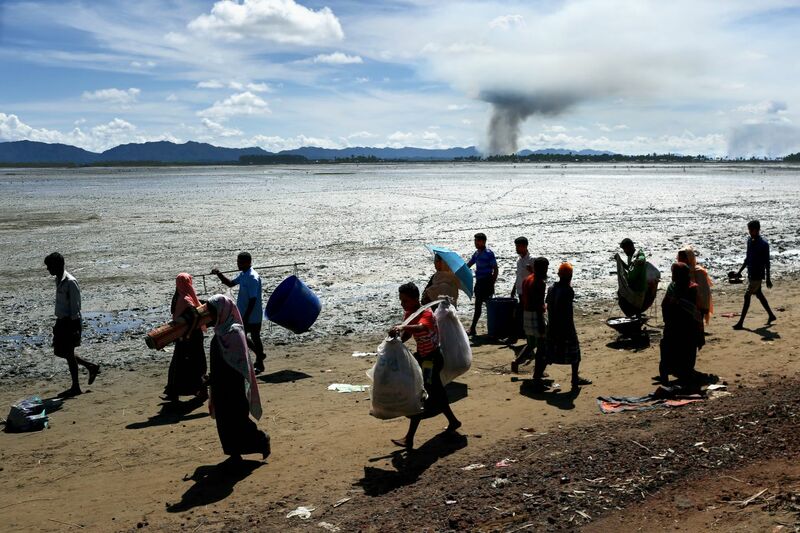 Over 600,000 have fled in recent weeks, with the Myanmar and Bangladesh governments agreeing a deal to return them in the coming months. However, the Rohingya refugees should only be returned if it is voluntary and safe to do so. Presently their safety cannot be guaranteed, according to the United Nations. 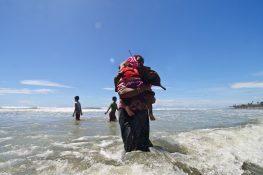 Photograph by Mohammad Rakibul Hasan –The Exodus of Rohingya Refugees. Rohingya refugees are entering Bangladesh while empty houses in the villages in Myanmar have been set on fire. Shahporirdwip, Teknaf, Cox͛s Bazar, Bangladesh. September 2017. I found that the diverse stories at the exhibition captured not only the struggles of the refugees’ journey to safety, but also their everyday experiences, and in doing so was highly engaging for its audience. Their stories further serve to show the courage and resilience of these communities to adapt in overwhelmingly difficult circumstances.